Nine cards to speak about your friends and you. Thank you!!! The above downloadable printable is best suited for high school students, elementary school students and adults at Elementary (A1), Pre-intermediate (A2), Intermediate (B1) and Upper-intermediate (B2) level. 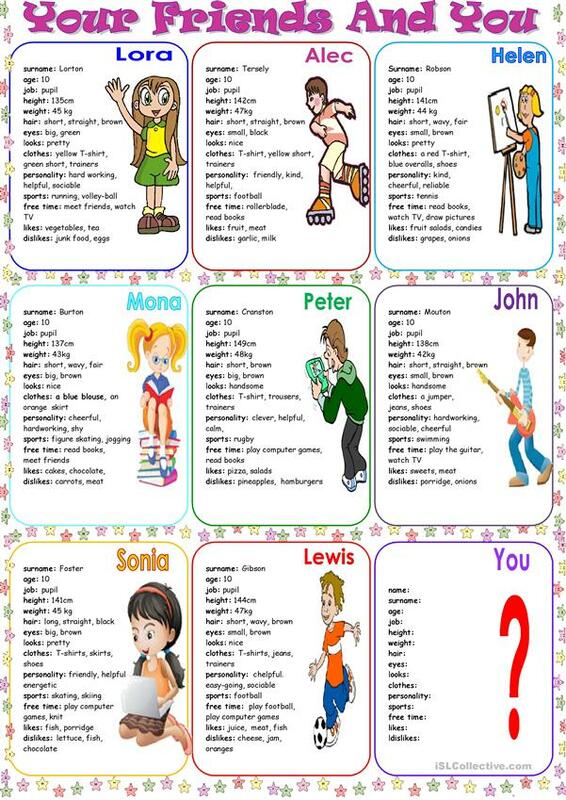 It is excellent for enhancing your class' Speaking and Reading skills. It is about the theme of People.